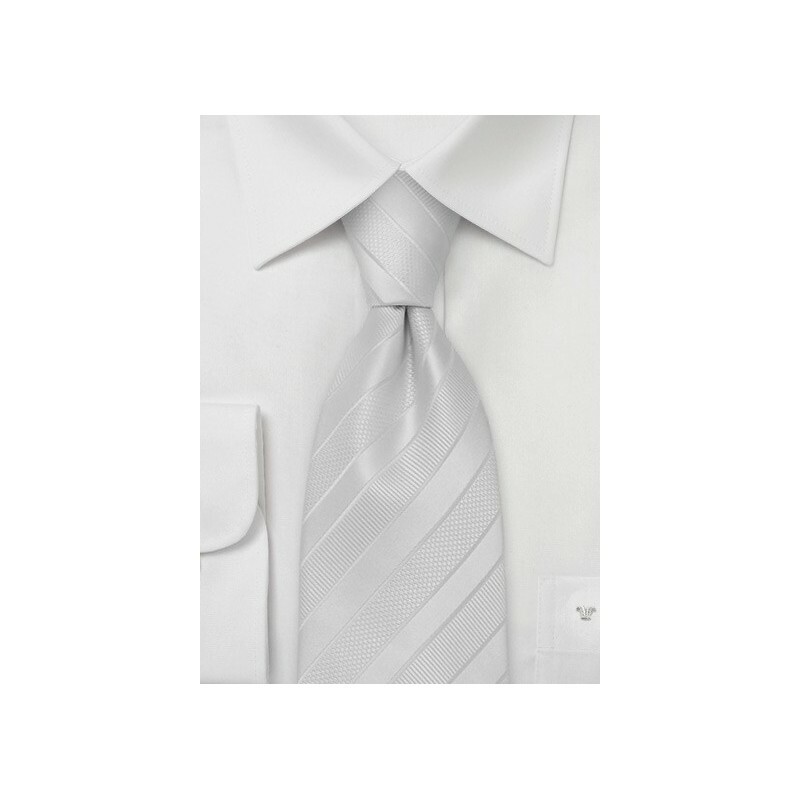 This bright white silk tie is made in loner length for the big and tall man. What makes this tie so unique is the combination of different fabric weaves that alternate in one elegant striped design. This tie is perfect for any semi-formal or formal event. Please note that this is a longer length tie of 62 inches made for men above 6 foot 3 inches. If a regular length tie is too short for you, then this is the right tie for you. 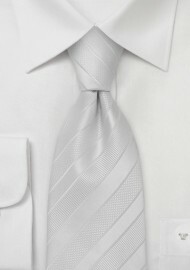 We also carry this tie in normal length as well as a kids tie.